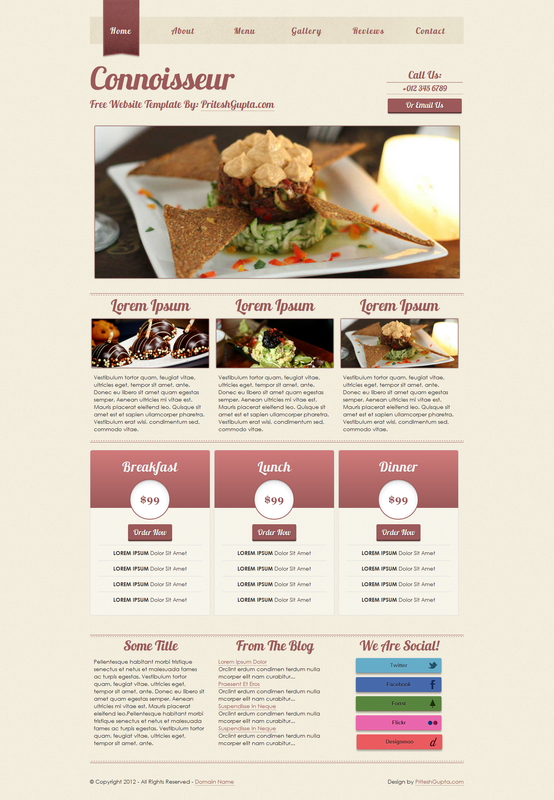 Here is a new free website template after a long long interval, this one is especially suited for websites pertaining to fine arts, cuisines, dining etc, and is also made using HTML5, CSS3 and some jQuery. The inspiration of navigation is not entirely mine, but rather taken from somewhere(which I exactly don’t remember), the slider used is Pikachoose and the gallery is fancybox(same as in Immaculate). I started working on this one almost three months ago but had to leave it in between due to my exams, however, now its completed and available for free download, its also licensed under New BSD License like my all other templates. You are free to do almost anything with it. See its release page at https://priteshgupta.com/templates/connoisseur/, the download link available there only. A basic script to replace the normal images with the iPad 3 optimized image(i.e. high resolution images), all you need to do is just keep the high resolution image with a “retina” extension. For example, imageABC.png becomes imageABCretina.png. Read here why you should do so. I am checking for user agent, screen width and pixelRatio since the screen width will double check that the device is an iPad and the pixel ratio will make sure its a 3rd Generation iPad, if we just use the pixelRatio, then this snippet will also apply for new iPhones(as they also have pixel ratio of 2). The screen width tends to remain 768 no matter what is the orientation(unlike other tablets in which they interchange if tilted), but I have still checked for other orientation if Apple ever decides to change how screen width and height are reported based on the device’s orientation. jQuery. Do notice here that earlier iPad(s) had 1024 x 768 resolutions, thus media queries specific to them will also work with the new iPad(since the iPad 3 also returns the same resolution only despite of being 2048 x 1536). This shows how you can even detect the landscape and portrait modes on the iPad(s). Special thanks to Sean Smith for debugging and fixing code.